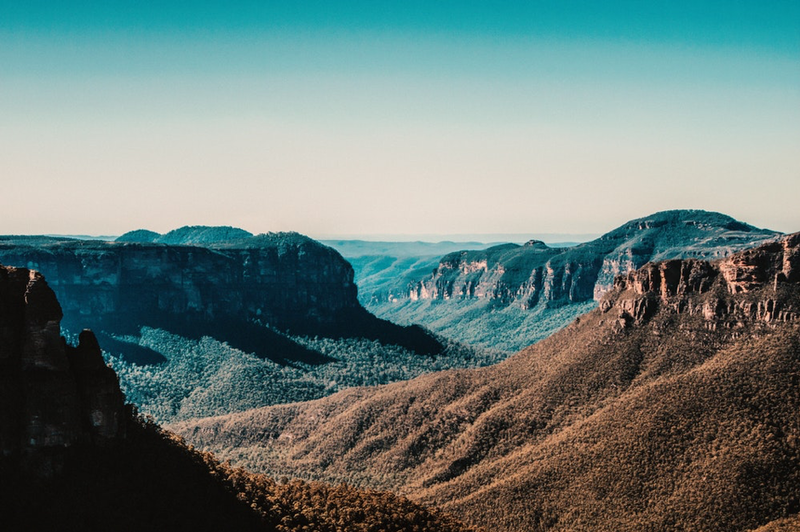 Whether you are a native of NSW or from another state, The Blue Mountains is one of the most visited regions of the country, and for good reason. Starting at about 50km west of Sydney, this alluring mountain range has it all, with peaks and plateaus forming along a 96km range, and gets its name from the blue haze that can be seen from most vantage points. This tinted haze is caused by the refraction, as the air contains fine dust particles and water droplets, and it really is an amazing sight to behold. If you only have a weekend and you want to get the most out of the experience, here is some good advice. There are companies that specialise in Blue Mountain flight tours with an impressive fleet of helicopters, and simply put, there is no better way to see the Blue Mountains than from the air. The typical tour would begin with the arrival of a car at your hotel to take you directly to the helicopter terminal, where you would be briefed about the flight. If anyone knows the best views of this mountain range, it would be the helicopter pilots, who spend a lot of their time in the air, and the company would have several tour packages, all designed to give you a unique experience. • Views that take in the Three Sisters, Katoomba, Megalong and Jamison Valleys and the Warrangamba Catchment area. • Spectacular fly-by of Sydney Harbour Bridge and Sydney Opera House, both iconic symbols of Sydney. Transport to and from your hotel would be included and refreshment is provided before and after the flight. Oh, and let’s not forget the photoshoot with the pilot and his machine. One thing you must do is take your camera along, as you will see some stunning landscapes, along with breath-taking views of Sydney Harbour, (make sure your device has enough memory). With the helicopter tour having taken up most of your first day, Sunday can be enjoyed in a number of ways. A visit to Jenolan Caves or perhaps a trip on the Zig Zag Railway, and for lovers of nature walks, there are many amazing trails that you can explore. You might want to explore one of the regions you flew over the day before, which offers the chance to see it from another perspective. As you would expect, helicopter tours over the Blue Mountains are very popular, so make sure you book well in advance. An online search is all it takes to find an established tour provider, and with a secure online payment, your booking is made and the helicopter will be sitting on the helipad, fuelled up and ready to go! If you would like your family to experience a helicopter tour of the Blue Mountains, all it takes is a Google search and selecting the ideal weekend.